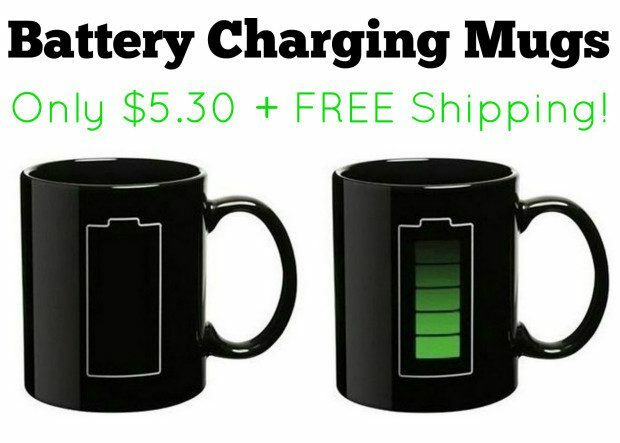 Color Changing Battery Charging Mug Only $5.30 + FREE Shipping! You are here: Home / Great Deals / Amazon Deals / Color Changing Battery Charging Mug Only $5.30 + FREE Shipping! How cool is this Color Changing Battery Charging Mug ?! Right now, you can get this for just $5.30 + FREE shipping!